Solving Kids’ Cancer is not just our name, it’s our mission. We focus on aggressive childhood cancers with low survival rates—because Every Kid Deserves to Grow Up. Solving Kids' Cancer helps accelerate new, next-generation treatments, including immunotherapy, cancer vaccines, and new drugs by applying an understanding of the entire childhood cancer research landscape to wisely invest in innovative projects. We extend our reach globally to fully understand the research landscape so that we may influence and strengthen the science, resulting in more cures for children. Solving Kids' Cancer fosters the development of innovative clinical trials that bring more effective treatments to children both in the U.S., Europe and beyond. Solving Kids’ Cancer finds, funds, and advocates for breakthrough treatment options to cure children with the most fatal childhood cancers. Founded by two fathers who lost their children to cancer, Solving Kids’ Cancer identifies and addresses the areas of greatest need in childhood cancer research. Our proactive agenda puts the child at the center of everything we do. We collaborate with researchers and institutions nationally and internationally to ensure that we fund the most promising research, reach more children, and solve kids’ cancer sooner. The inspiration for John London in co-founding Solving Kids' Cancer belongs solely to his daughter, Penelope, who once told him "I want no one to feel yucky, Daddy." Those words drove bot John and his wife, Catherine, to make sure that no other children and families suffer the loss his family had to endure with the passing of Penelope. As Chairman of the Board of Directors, John has primary responsibilities with SKC that include leadership and overall management of organizational governance, compliance, donor cultivation, and fundraising. John also serves as a strategic advisor in all areas of therapeutic development. He has an MBA from The Wharton School of Business, University of Pennsylvania and a Bachelor of Arts from Brown University. Penelope was born a very healthy, beautiful, playful, extraordinary, and happy baby. Hindsight doesn’t give us the privilege of knowing where things went wrong. But they did. They went terribly, terribly wrong when, at 16 months, she was diagnosed with a very rare form of pediatric cancer. Up until then there was absolutely no indication whatsoever that she was sick, not from the pediatricians’ perspective, nor from the keen eye of an experienced parent. It was like watching those television commercials about horrible diseases that strike other children, but you just know in your gut, and you thank God, that it will never happen to your child. But it did. And that is all that will be said about her illness in this portion of the website -- that it can strike any child, at any time, and in the most surreptitious of ways. After all, this page is about Penelope, as she would have wanted it to be; not about her illness and subsequent death short of her 5th birthday. The illness did not define her; but her strength and courage during her life is what will drive and define the momentum to ultimately find a cure. Penelope was the strongest life force we have ever felt. She practically glowed. No person was more radiant, beautiful, courageous, or loving. To know her was to have your soul penetrated by pure goodness. Life was her canvas for us to watch her display such joy and beauty; it was a wondrous rainbow of colors, life, determination, energy, intelligence, and love. Our greatest gift is that we will forever be Penelope’s parents. Her nearly five years were a blessing, and in her short time, her smile, laugh, determination, and absolute love for life affected so many who came in contact with her or followed her story. Our inspiration for co-founding Solving Kids' Cancer belongs solely to our amazing daughter who once told us, "I don’t want anybody to ever feel yucky.” Our hope is to make her wish come true. Hazen was a problem solver. He loved mazes and conquered them with delightful fervor. He loved puzzles of all varieties, and would figure out a way to find solutions. At 18 months old, he could direct his stroller from his home on Tenth Avenue in Hell’s Kitchen, New York City, to his favorite store for his favorite animal crackers, which was located nearly a mile away. With a “dis way,” and a “dat way,” Hazen was determined to get what he wanted, and made sure we knew it. When he was little, he conquered his fears of sitting on Santa’s lap because he simply had to tell him that he NEEDED a remote control car. That Christmas he independently received four. Hazen knew his states on a map. He even collected state quarters, and often lamented about spending Georgia on a bubblegum machine at Macy’s. Hazen loved yo-yos. He loved bugs. He loved pumpkin bread, and cats. He loved his friends, and to dance. He loved a girl, who just happened to be his best friend’s little sister. Hazen loved jokes, and would teach them to clowns at the hospital…because he loved clowns. Hazen loved Pennsylvania. He loved Michigan. He loved seeing his family, and being the center of a big love huddle. Hazen loved magic. He loved learning tricks and loved performing and watching. He loved figuring things out and loved sharing the wonder of how things are done with others. “Amazin’ Hazen” would perform for anyone at any time, sharing laughs and smiles along the way. Hazen loved board games and would absorb them voraciously, and would tear through them the way people tear through them; mastering one and needing another challenge. Hazen loved science. Hazen loved fairies, and fairy doors. He loved to share presents with other people, and always thought about what people needed, and how to help them. That was just his way. People felt him. People loved him. People were grateful for the magic in his eyes that undoubtedly spoke of love and mischief. There are so many things that we wanted Hazen to see with those eyes. We wanted him to see his dreams of becoming a scientist realized. We wanted him to see real monkeys that looked like his favorite toy he brought to the hospital. We wanted him to see his children. We wanted him to see a life without cancer. Without cancer, we would still have Hazen, whom we love. Learning that nifurtimox, an anti-parasitic drug, put a child with neuroblastoma into remission, SKC quickly launched a clinical trial which has extended the lives of children with this deadly cancer. John London co-founded Solving Kids' Cancer in honor of his daughter Penelope, who once told him "I want no one to feel yucky, Daddy." He is Board Chair of Solving Kids’ Cancer and serves as a strategic advisor in all areas of therapeutic development. He has an MBA from The Wharton School of Business, University of Pennsylvania, and a Bachelor of Arts from Brown University. Scott Kennedy co-founded Solving Kids’ Cancer as a tribute to his son Hazen, who was diagnosed with neuroblastoma at age 3. As Executive Director, Scott is integrally involved in the identification, funding, and management of the organization's scientific programs. He has a BS in Chemistry and Psychology from Indiana University and an MBA from the Asian Institute of Management. Khalil Barrage is a Managing Director at Invus, based in New York. He joined Invus in 2003 and established its Public Equity activity. Since its inception, Invus Public Equity has concentrated its investments in the emerging innovative biotech companies. Prior to joining Invus, he worked at The Olayan Group in New York and ran their US equity portfolio for 15 years. He holds a BA in Economics from the American University of Beirut. He is a member of the board of Protagenic and Celtaxsys. As part of his philanthropic engagement, Khalil serves on the board of the Children of Armenia Fund and Solving Kids’ Cancer. Dr. Hearn J. Cho is an Associate Professor of Medicine, Hemotology, and Medical Oncology at the Icahn School of Medicine at Mount Sinai Medical Center where he also has a practice that specializes in Hematology-Oncology. Dr. Cho earned his doctoral degree in immunology at Cornell University Medical College, followed by a postdoctoral research fellowship in immunology at the University of California, San Diego. Dr. Cho's research is focused on utilizing the body's immune system to develop patient specific vaccines and other treatments that destroy tumor cells and prevent them from returning. His research support development of personalized clinical approaches. Michael’s daughter, Bianca, was diagnosed with ETMR in 2016, a grade IV brain cancer which she has been fighting ever since. Michael is a Vice President at T. Rowe Price and focuses on European small-cap equity. Prior to T. Rowe Price, he worked at Fidelity Investments. Michael holds a BA from the University of Chicago and an MBA from Columbia Business School. He is a dual French/Brazilian citizen and currently lives in London with his wife and two daughters. Julia Novaes Roux is a Managing Director at Autonomy, a global macro investment firm. She joined Autonomy in 2016 and is based In New York. Prior to joining Autonomy, she worked in Private Equity at Vinci Partners and Silver Lake, spending time in US, Brazil, London and Tokyo. Julia started her career in 2006 at JPMorgan in New York. She holds a dual Master of Science from the European Business School, Oestrich-Winkel in Germany and Copenhagen Business School in Denmark. As part of her philanthropic engagement, Julia serves on the board of Solving Kid’s Cancer. Mark N. Savoye is a Vice President, New Payments Business at MasterCard. He joined MasterCard in 2008. Prior to joining MasterCard, Mark served as a Director at American Express. Mark holds a BS degree from New York University Stern School of Business in Marketing and International Business. Mark serves on the board of directors for Madison Strategies and for the Maina Foundation. Eyal is a New York based Manager in the Assurance practice of Ernst & Young LLP. He has over seven years of experience in the nonprofit and health industries primarily performing audits for nonprofit providers and related entities, which include accountable care organizations, collection agencies, and foundations. Eyal leads a local team of health focused individuals with a variety of experiences across the industry. In addition to serving as SKC board treasurer, Eyal also mentors NYC youth through the iMentor program. Channing Stave, Ph.D., is Chief Operating Officer of Newristics, a marketing and market research consulting firm focusing on Life Sciences. Prior to co-founding Newristics, he led the Strategies and Market Insights team at Express Scripts (formerly Medco). He has also held senior positions at Pfizer and IBM. He is a founding board member of Solving Kids’ Cancer and currently serves as Secretary. In addition, he is Co-President of the Board of Directors for Camp Zeke and serves on the board of Madison Strategies Group. He holds a BA from Columbia University and a MA and Ph.D. in Organizational Psychology from New York University. Scott co-founded SKC in 2007 as a tribute to his son, Hazen Kennedy, who was diagnosed with neuroblastoma at age 3. Hazen was Scott’s inspiration for creating Solving Kids' Cancer in part because Hazen wanted to become a scientist when he grew up in order to help people by creating new medicines. As Director of Mission Programs, he is integrally involved in the identification, funding, and management of the organization’s scientific programs. Scott has a BS in Chemistry and Psychology from Indiana University and a MBA from the Asian Institute of Management. Admiration for the SKC mission and method noted while her son Erik battled neuroblastoma led to a productive collaboration after his death in 2010. Donna is a voracious consumer of pediatric oncology research literature and attends major oncology meetings and presents at conferences. She is an FDA Patient Representative and on the NCI Central Review Board for COG clinical trials. In frequent contact with researchers and families all over the world, she stays abreast of the global patient and research landscape. She assists in identifying, analyzing, cultivating, and reviewing exciting therapeutic leads with the hope of quickly bringing the most promising therapies to the clinic. Donna has a BS in Chemical Engineering. Kristi came to Solving Kids' Cancer in 2011. She brings 25 years of not-for-profit administrative experience in management, operations, development, event planning, and marketing. Prior to SKC, Kristi managed the visual and performing arts center at Le Moyne College in Syracuse, NY. Natalie found her interest in not-for-profit work from a very early age. She is passionate about helping others and building communities. Natalie is currently pursuing a B.S in Media, Culture and Communication at New York University. The Andrew McDonough B+ Foundation honors the life of 14-year-old Andrew who battled leukemia before leaving us on 7/14/2007. Andrew’s B+ blood type became his family’s and friend’s motto throughout his fight against childhood cancer — to “Be Positive.” The B+ Foundation is about kids helping kids fight cancer -- by providing financial and emotional support to families of children with cancer, and by funding critical, cutting-edge childhood cancer research. 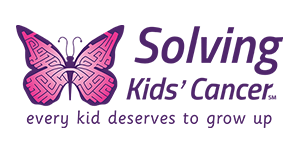 Committed to continuing Catherine’s fight, The Catherine Elizabeth Blair Memorial Foundation is focused on research and treatment to support the development of new treatments that are less toxic and less painful for children, and still effective at annihilating this vicious disease. 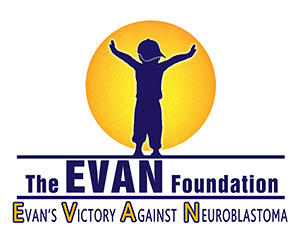 The EVAN Foundation was established in memory of Evan Lindberg who bravely battled neuroblastoma for four years before passing away at the age of 7 in 2010. The Foundation funds research aimed at fostering new treatment options for children with neuroblastoma, and sponsors patient-wellness programs for childhood cancer patients enduring long and difficult stays in the hospital. 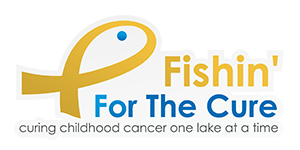 It is our dream at “Fishin’ for the Cure” to one day live in a world where no child has to suffer from the painstaking battle of cancer...that one day, there will be hope and there will be a cure! We collaborate with like-minded nonprofits to help fund more research projects and assist families in our local communities who are affected by childhood cancers. The mission of the Fitzgerald Cancer Fund is to battle neuroblastoma better by finding and funding less toxic treatments for neuroblastoma that focus on high quality of life for patients and by financially assisting families who have a child in treatment for neuroblastoma. 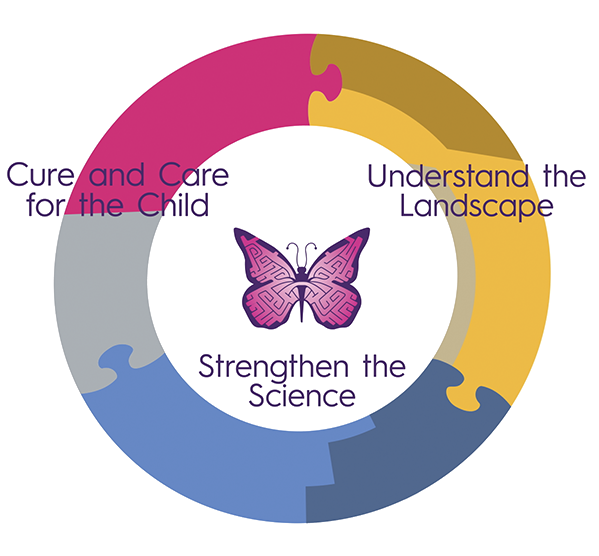 Joining Against Cancer in Kids was established in 2008 to bring therapies in the UK and improve existing treatment protocols for children with neuroblastoma as well as research into new treatments. The initiative was supported by officers of the Metropolitan Police Service, and also by family and friends of Jack Brown. The James Fund for Neuroblastoma Research was established at Sick Kids Hospital, where all funding goes directly to research and investigation efforts for neuroblastoma therapies. 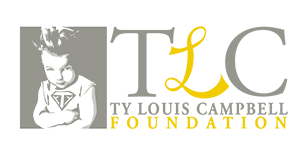 The James Fund represents Canada on the Advances in Neuroblastoma Research (ANR) group, an international think tank of neuroblastoma scientists raising the bar on neuroblastoma research worldwide. Pierce Alexander Phillips is the inspiration for Scott and Brandi Phillips, and fuels the Pierce Phillips Charity. PPC exists to make progress in the fight against neuroblastoma and other forms of childhood cancers by directing funds to research and trials that can increase survivorship now and that will eventually lead to a cure for the most innocent of cancer victims. The Ronan Foundation is dedicated to raising awareness and funding cutting edge research for childhood cancer. We are committed to funding clinical trials to reduce the number of children affected by childhood cancer, increase survival rates and minimize long term medical and psychological effects of treatment. 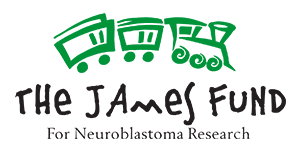 The Ty Louis Campbell Foundation funds innovative research and clinical trials specifically geared toward the treatment of the deadliest childhood cancers (including brain and spinal cord tumors). TLC seeks less toxic, more effective treatments that are specifically designed for children fighting cancer. 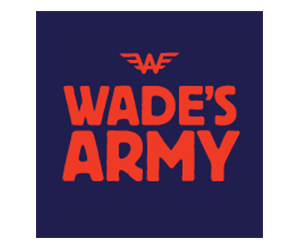 The mission of Wade's Army is to fund research and bring support to the brave children and families affected by this often fatal pediatric cancer. 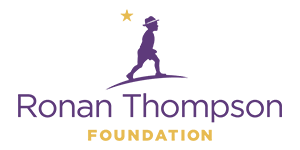 Band of Parents is a grassroots, nonprofit organization that funds innovative research and clinical trials for neuroblastoma, helping increase the survival rate for this childhood cancer. We are a support network for the newly diagnosed and their families as they go through treatment. Our goal as parents is to fast track a cure using less toxic, targeted therapies. A Kids’ Brain Tumor Cure Foundation (aka PLGA Foundation), founded in 2007, is dedicated to finding more effective, less toxic and less punishing treatments for eradicating low grade glioma brain cancer in children. Our goal is to accelerate the pace of promising scientific pediatric brain tumor research through: Raising funds to support state of the art scientific research and raising awareness with scientists, doctors, lay people and pharmaceutical companies about the lack of existing effective treatments and a cure. The Children’s Neuroblastoma Cancer Foundation (CNCF) is a non-profit national health organization committed to finding a cure for neuroblastoma through research, education, awareness and advocacy. The premier source for neuroblastoma information and resources, CNCF initiatives educate the public about a disease dramatically lacking in awareness and funding. It serves as an advocate for families, as well as a liaison between healthcare providers and families. For all media inquiries, please contact info@solvingkidscancer.org.